Omega Berry Fish Oil Free Bottle Offer. Order Now. Omega 3 may benefit diabetes according to studies I've read. People that eat large amounts of fish have shown a reduced level of triglycerides and consistent increases in good cholesterol which is their HDL. 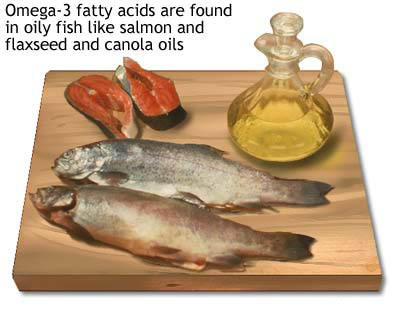 Omega has shown to guard against heart disease more than in people who do not consume these essential fatty acids. Scientists are still not completely convinced that this vitamin source actually reduces blood glucose in type 1 and 2 diabetics, but experiments that have been conducted with animals show a decrease in neuropathies, a frequent diabetic complication. Heart disease is something else that diabetics run a high risk of developing. Omega 3 fatty acids have actually been shown that they have reduced the number of heart attacks. Blood clotting has been avoided by consumption of foods such as sardines, mackerel, albacore, and tuna. These are food that are high in EPA and DHA. Anyone with abnormally high triglyceride counts should eat 2-4 grams per day for better heart health. Depression and diabetes are linked together. The consumption of fatty acids may cut down on the risk of depression problems. Fatty acids have been known to restore normal levels of serotonnin in the brain. Serotonin is what has to do with having depression problems or not. The lack of it to the brain usually causes depression. If you don't like to eat fish, consider supplements that provide this source such as flaxseed oil. It is rich in ALA which is Alpha-linolenic acid. ALA is what you get from eating green leafy vegetables. Your oils such as canola oil, and walnut oil contain ALA. Taking this supplement daily will benefit you and your health with diabetes about as much as consuming fish. Have A Great Article About This Topic?